When you feel tired in the hustle and bustle of fast-paced urban life, it's always a good idea to go and find some beautiful countryside, get close to nature and relax yourself. Ningbo, as a coastal city on the East China Sea, boasts many towns and villages with beautiful scenery. 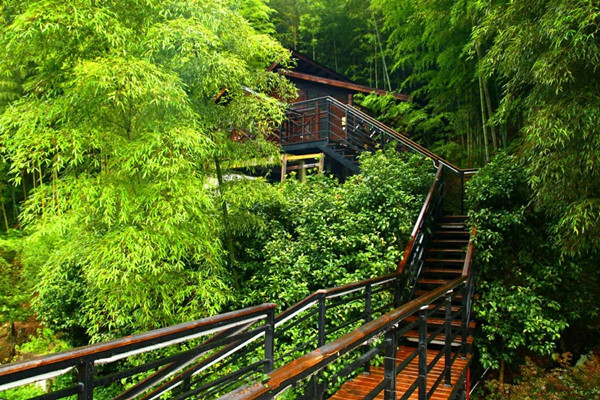 Mountains, forests, streams, bridges, parks, all that you can imagine when you want to escape the city and enjoy some tranquility, can be found in Ningbo. Located in the southwest of Haishu district, the village features a large area of mountains and forests, around 6,300 hectares. It is also known as "the home to osmanthus in China" as many osmanthus trees are planted in this village. The best time to visit it is the autumn, as this is when the flowers bloom and the village will be immersed in the fragrance of osmanthus. 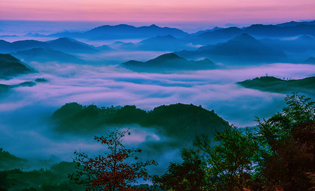 Particular places of interest include the national 4A-level Wulongtan Scenic Spot featuring steep cliffs and grand waterfalls, and the Zhongposhan Forest Park with four ecological gardens of flowers, tea, bamboos and waxberries. In addition, there are eight hiking trails, stretching 50 kilometers long in total, for mountain climbing, exercise and sightseeing. High-end homestay inns are also available in the village for you to have a comfortable stay. Yinjiang Town is a renowned town of historic interest in the east of Siming Mountain, 25 kilometers away from the city center. 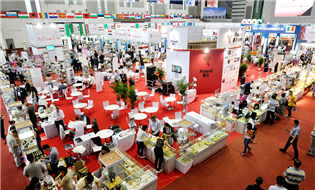 It has been serving as an important trade hub in the east of Zhejiang province since ancient times. The town features many ancient bridges, temples and tombs. In fact, it got its name from a bridge (Yinjiang Bridge) that dates back to the Northern Song Dynasty. Among its 34 places of interest, the biggest highlight is the Tashan Weir, which sits along Tashan Mountain in the village. It is known as one of the "Four Water Conservancy Projects of the Ancient China" and is now a key cultural relic under state protection. There is also a temple fair related to the weir, which falls on the third day of the third month, the sixth day of the sixth month, and the tenth day of the tenth month in the lunar calendar every year. The town will be crowded with many vendors selling all kinds of goods, and you will also see many folk performances at the fair. 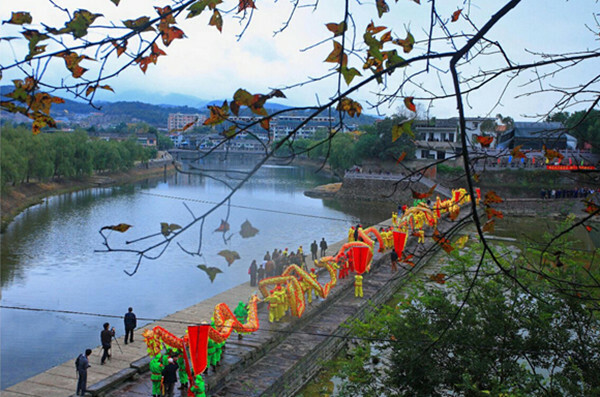 The fair commemorates the people who contributed to the construction of the weir, and was included on the list of intangible cultural heritages of Zhejiang province in 2012.